Governor Bill Lee gave his State of the State address last night and outlined his budget and vision as he begins his first term. Among the items he discussed was the creation of a state charter school authorizer. Tennessee Gov. Bill Lee is proposing legislation that would make it easier to establish charter schools. He announced the plan Monday night during his State of the State address. If it passes, it would allow a sponsor to go directly to a state-run authorizer for approval, instead of a local school district. The proposed change is significant because current law requires a charter operator to submit a proposal to a local school board first. The local board then evaluates the proposal and makes a decision as to whether or not it would be a good fit for the needs of students in the district. If the local board rejects the proposal, the operator may appeal to the State Board of Education. Let’s review. Rocketship was denied expansion by MNPS and the State Board of Education last year. 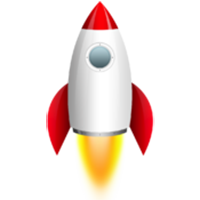 Rocketship applied again. MNPS denied them. Rocketship appealed. MNPS denied the amended application by an 8-1 vote. Rocketship is now appealing based on a technicality instead of working with MNPS to find a satisfactory way to address concerns. 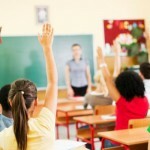 Why shouldn’t charters be required to present a proposal to a local board of education first? Shouldn’t the citizens of a community, by way of their duly elected school board, be able to weigh-in on the appropriateness of a given charter school proposal? 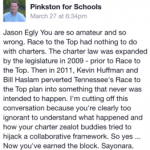 Moreover, why doesn’t Bill Lee trust local school boards? Charles Corra examines the potential legal issues with Tennessee’s charter schools in light of the Washington State Supreme Court ruling saying that state’s charter law was unconstitutional. I recently tweeted about an article published in the Nashville Bar Journal called “Tennessee’s Waltz With Charter Schools,” which commented on the potential unconstitutionally of Tennessee’s charter school legislation. 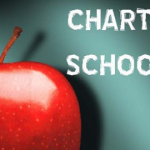 Similar to Washington, Tennessee’s charter schools are also private entities that contract with a school board and cannot be managed by for-profit entities. The author also points out the similarity with funding between Washington and Tennessee charter laws: that the money follows the student. What is important in the article is the discussion that follows regarding the variance in success rates between charter schools (i.e. some performed well while others did not), which could be attributed to the freedom that charter schools have with how they allocate resources. 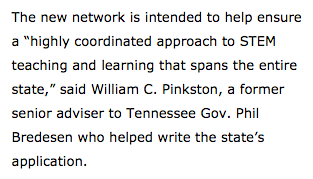 The takeaway here is that, based on a study the author delves into, there are inconsistencies in management, operation, funding, and student achievement among charter schools in Tennessee. 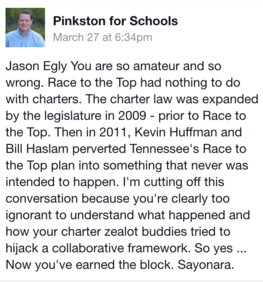 The points, as Corra makes it, is that because of the way Tennessee charter schools are operated and funded, they could be in violation of established precedent regarding equal educational opportunity. No challenge to this law has yet been made, but the issues raised in the Washington case may merit attention by Tennessee lawmakers. Read Corra’s full analysis of this issue.